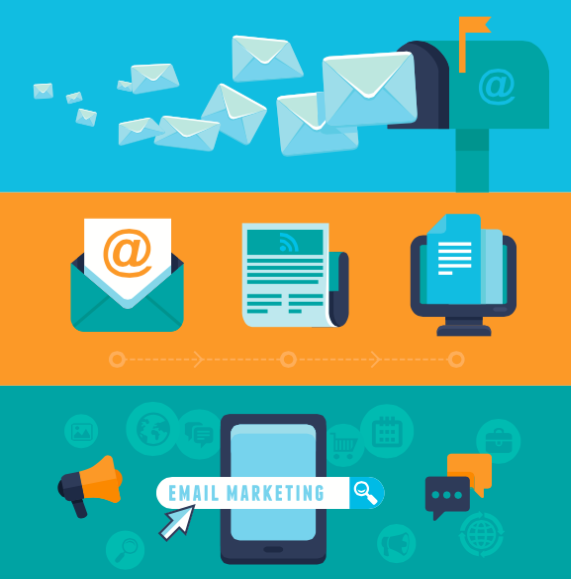 Email marketing nurtures leads and creates customers, and is on the rise even in the age of social media and content marketing. According to Marketing Cloud's 2015 State of Marketing report, 60% of marketers in 2015 believe that email is a critical enabler of products and services, versus only 42% in 2014. Also, 20% of marketers this year claim that their business’ primary revenue source is directly linked to email operations compared to just 16% last year. The success of your email marketing hangs on your ability to craft and target brilliant emails. It also means building a carefully considered campaign, complete with follow-up emails and metrics to measure success, as part of your larger inbound marketing strategy. The following list of our eight best practices for effective email marketing will put you on the right path to sending better emails. We've used examples from B2C companies throughout, but the same tricks apply to B2B marketers. The most important aspect of the subject line is that it should, without ambiguity, tell the reader precisely what the email content is about and what they can do with the information you are sharing. Keep the subject line short and simple, incorporate call-to-actions like download, buy and get and take and focus on being clear, not necessarily catchy. Watch out for spam trigger words and phrases like '100% free' and 'incredible deal'. Also consider what is visible in the pre-header, or secondary subject line. This can also impact your open rate. 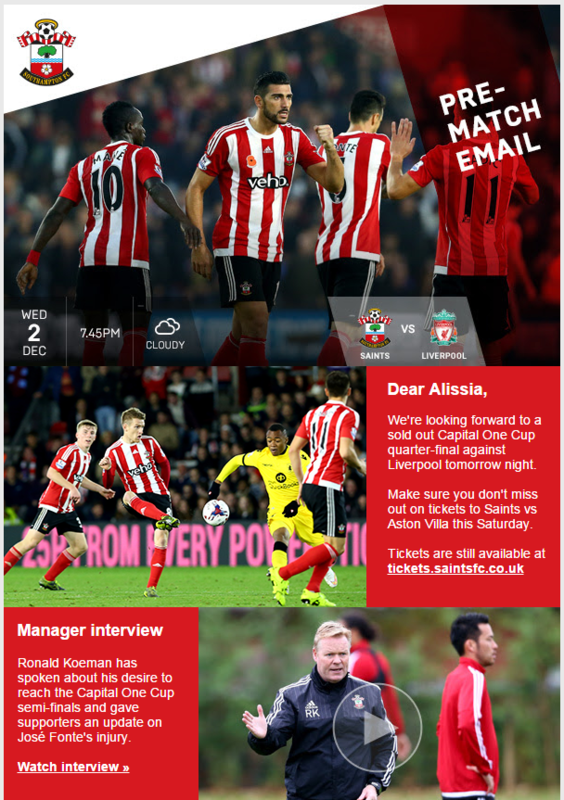 Here are some examples of Promotions emails. 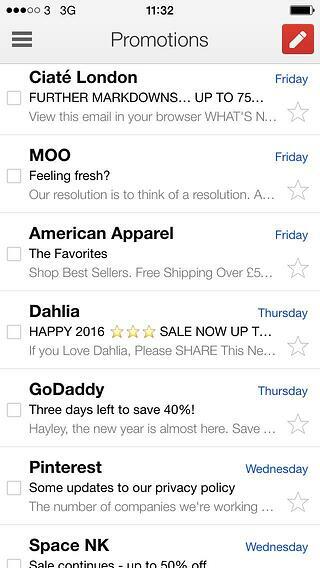 MOO's and Dahlia's refer to the start of a new year, Pinterest's is straightforward and informative and American Apparel's offers their most popular items. The others are geared around (limited time only) offers and discounts. Writing a ‘clickbait’ subject line, which differs from the content of the email, will work against you and may lead to lots of mails marked as spam, resulting in a detrimental effect on your email sender score. As well as sending from a person rather than a company, you can personalise the subject line for emails with the recipient’s name or any other information you collect from the form fields on your website, and use this information in the body of your emails as well. Speak to them as a real person, not as a lead or prospect. You can target tailored emails to your recipients by segmenting your database depending on buyer persona, buyer's journey stage and previous interactions with your website. Progressive profiling, available on the HubSpot software from the Professional version upwards, allows you to ask for new information with each subsequent visit and conversion. By the time someone receives their 10th email from you, their profile should be extremely personalised in your database and they should no longer be receiving generic mails. Change up the content offers, copy and calls-to-action to keep converting them, from visitors and leads to customers and ultimately brand evangelists. Write with the reader in mind. Create well-written, original content that is aligned with your email subject line and easy to scan or read quickly. Highlight the benefits, rather than the features, of your products and services. Be relevant. Effective marketing emails deliver information on one particular subject determined by the recipient’s previous behaviour. Anticipating who needs what information, and when they need it, is key. Remember not to over-email your list, instead finding the optimum email frequency by monitoring engagement levels. Get to know your recipients. The type of content someone downloads from your website should help you decide which buyer persona category they fall into, and hence which new content, offers and next steps you recommend for them. Move them through the buyer’s journey. Use the knowledge and insight collected via your gated content and forms to segment your database. This will help you target your emails and nurture your visitors and leads into sales-ready contacts. Each one of your emails should be crafted with a single objective in mind, e.g. click on a link to an article, register for an event, buy a product or request a call. You can link to several relevant web pages in the content of your email, but keep CTAs to a minimum. 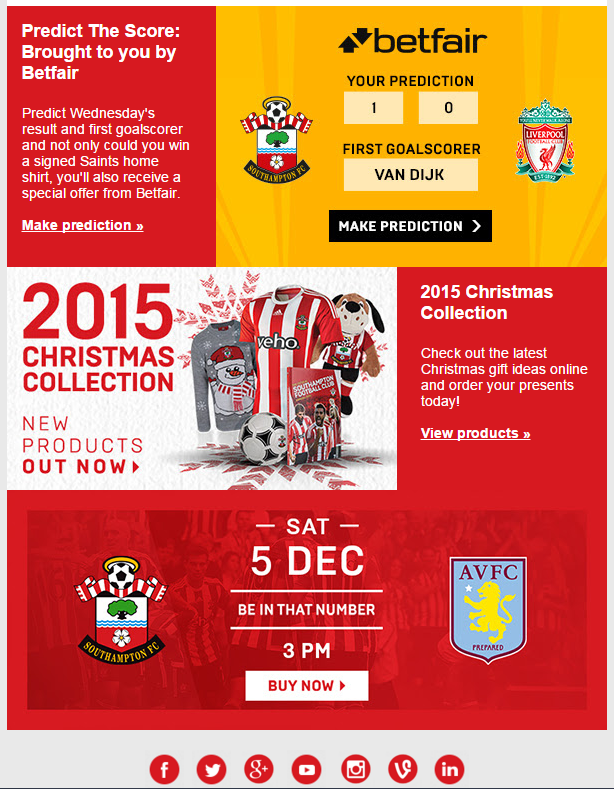 To encourage your recipients to convert, close them with a call-to-action. One big, meaningful CTA per email, like "buy now" or "sign up today" keeps the focus on one conversion type, whereas several CTAs will give your recipients options. A sense of urgency will encourage recipients to take action right away, instead of letting your email sit in their inbox. If your email is intended for direct purchases, a one-off, 24-hour sale, discount or a free gift for the first 100 subscribers will motivate them to act without delay. 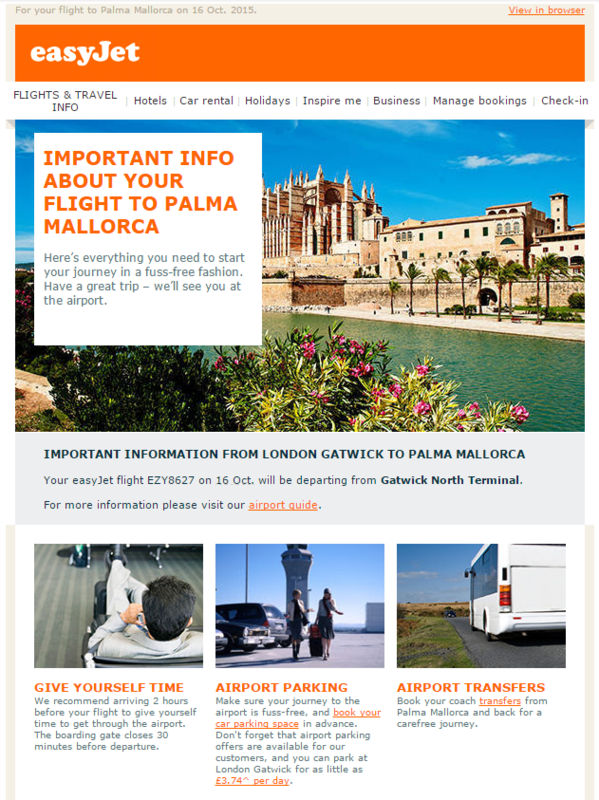 If you are sending a nurturing email, create urgency with your copy, gated content or CTAs. If they get the feeling "I need to know/do/download this right now," they are far more likely to click through to your website. 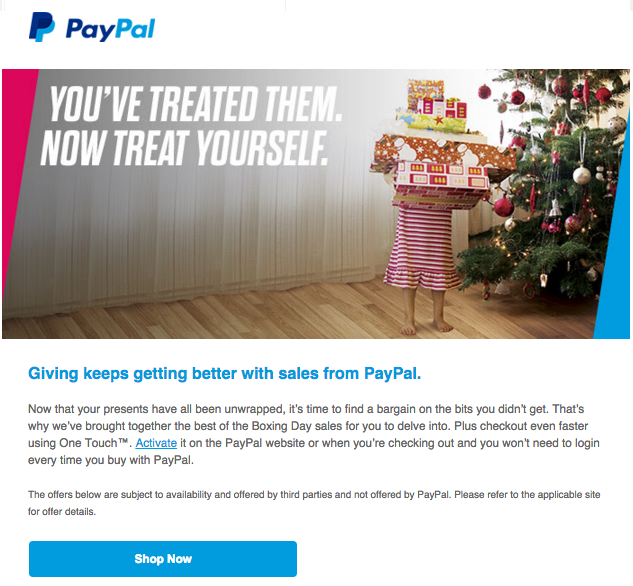 This PayPal email about Boxing Day sales was sent out on Boxing Day, making it timely as well as time-sensitive. The 'Shop Now' CTA heightens the sense of urgency. 53% of emails are opened via mobile as 2014 year-end open rates. It’s absolutely vital that your emails are responsive and optimised for all screens: desktop, laptop, tablet and smartphone. Clean, attractive designs will improve readability and clickthrough rates, as well as the reputation of your company and future open rates. 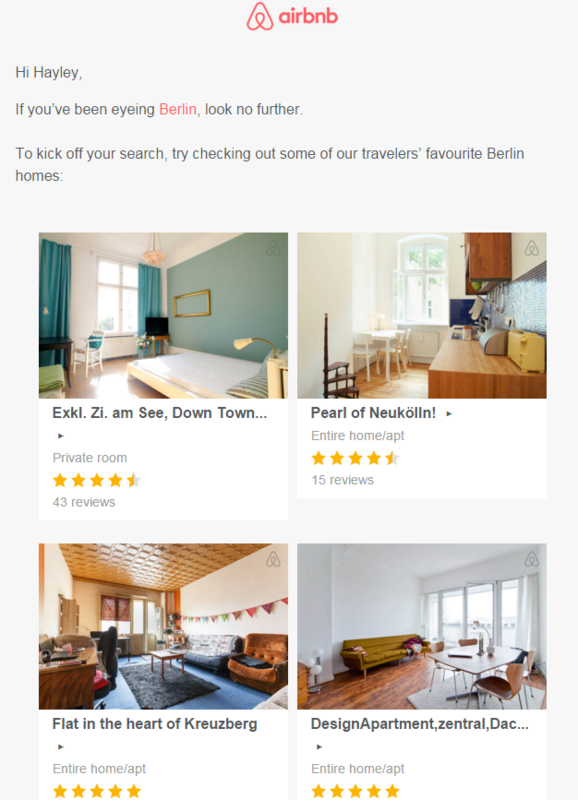 This Airbnb email is exemplary in terms of design. It’s light on copy, easy on the eyes and the buttons (in this case images) are large enough to click whatever the screen size. Often mistakenly overlooked, proofreading your emails is an essential part of the process. Not only are typos and grammatical errors annoying, they also reflect poorly on a company and will likely result in you losing credibility with your subscribers. Be consistent with your language, tone and stylistic decisions like the use of capitalisation, punctuation (e.g. !!) and emoticons. Consider the style and formality of your email, and determine what is appropriate or not. Proofread your emails more than once, checking for spelling, clarity and readability. If you can, get it looked over by a second pair of eyes before pressing send. A/B test your subject lines or email copy in order to identify best practices for your ongoing email marketing strategy. Use your CRM to monitor open, read and clickthrough rates – these are all essential data points when it comes to measuring the success of your campaigns and knowing what works and what doesn’t. This information will serve as a great basis for continually optimising and improving your campaigns. Make sure you record the results for each send-out, and learn from your mistakes as well as your wins.